Who said breakfast had to be pancakes and waffles and bacon and eggs? 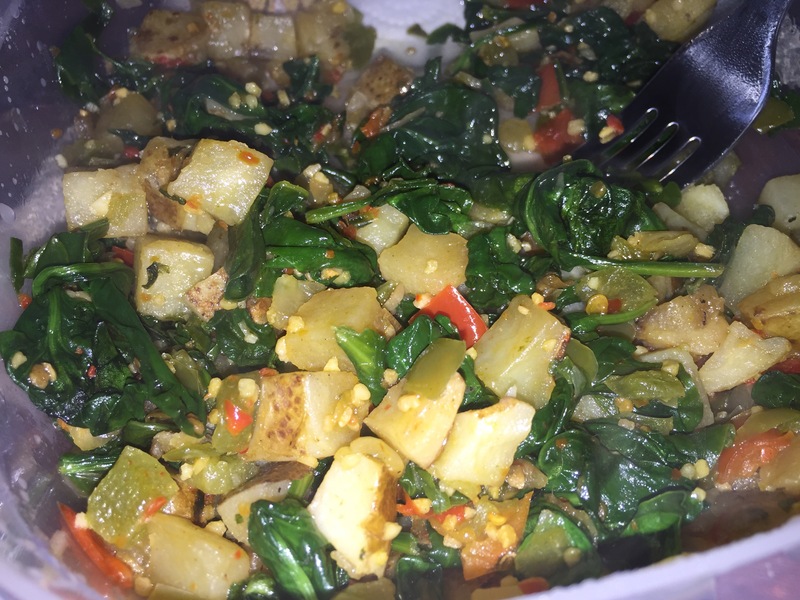 I had potatoes with spinach, peppers and onions. Daniel Fast Friendly food.